A great looking lawn and garden requires the right amount of water.We, BestYard.com, help you jazz up your outdoors by ensuring that your lawn and garden gets ample water supply, and no water is wasted in the process. We offer sprinkler repair and modification at affordable prices, and ensure proper watering in the winter as well as the spring, summer, and fall. 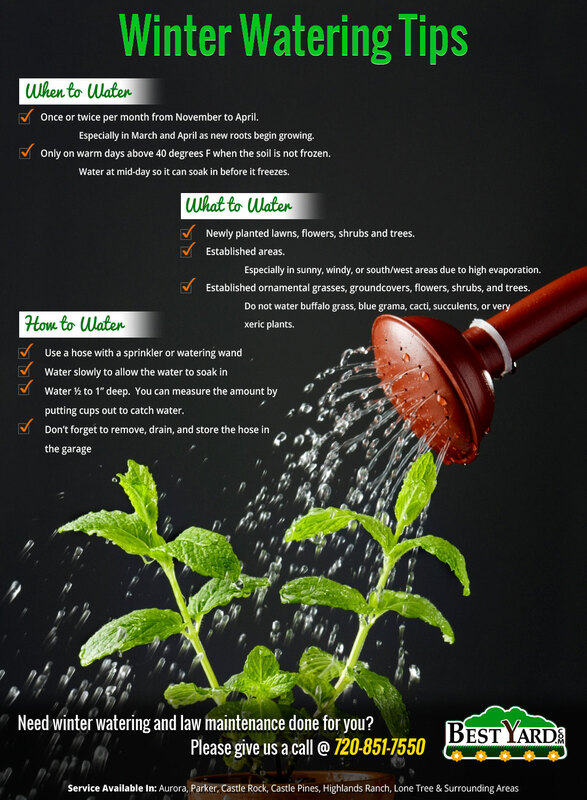 This infographic created by BestYard.com will educate you on how to water your garden during the winter months. Learn more about what in your garden needs to be watered, the best time to water your lawn and the best way to do this.